It's been hot minute since I rounded up whatever latest trend or item has me itching to whip out the credit card. I blame it on a winter that outstayed its welcome. Now that the weather is finally starting to turn, I have my eye on one new trend in particular. 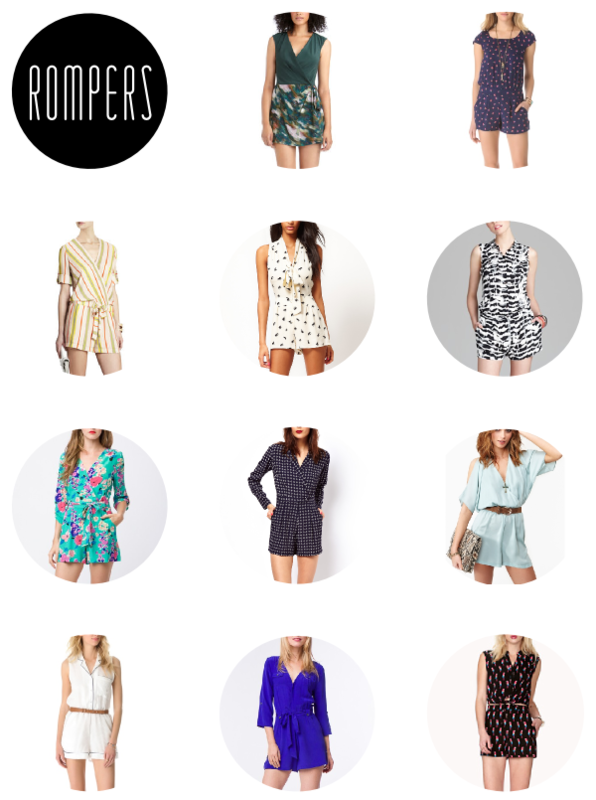 Rompers. I've rounded up some of my favorites here. But actually...I'm giving my wallet a break on this one, and I'm trying my hand at making my own, a little something I've hinted at on Instagram. Stay tuned to see how that turns out, and in the meantime, enjoy these beauties. Definitely back in the 90s with rompers, playsuits and overalls! Great post! Cute, but I mean seriously, how do you really pee in a romper?? I made myself a romper last summer and I love it. But going to the bathroom is a hassle. I think the best design would have buttons going all the way down the front for easier on/off. I can't wait to see yours! !